It is with regret that due to unforeseen circumstances, our scheduled performance at Swindon Meca on Friday 18th January has had to be cancelled. There are currently no plans for this gig to be rescheduled so we advise that those who have purchased tickets to please seek refunds from point of purchase. We are extremely saddened with the news last week regarding Pete Shelley of the Buzzcocks, our thoughts and love are with Pete's family and friends. We also fully understand the questions we are being asked regarding the evening. 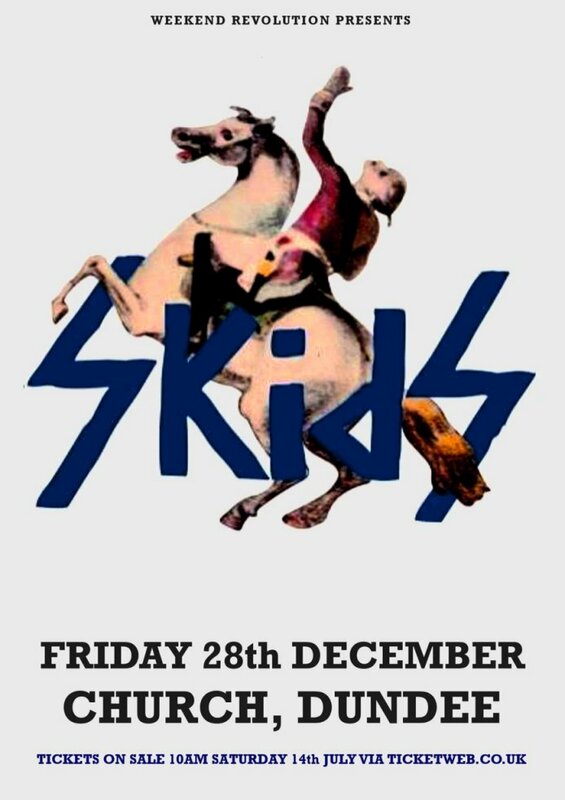 An initial short discussion has been held with the promoter and we can confirm the event will definitely go ahead with The Skids and Penetration both definitely playing on 21st June at the Royal Albert Hall. With the greatest respect to Pete’s family, the other members of Buzzcocks and their management, we are not in a position to say what format the evening will take, however a further statement will be released as soon as possible so that everyone can continue with their plans for what will be a very special occasion. 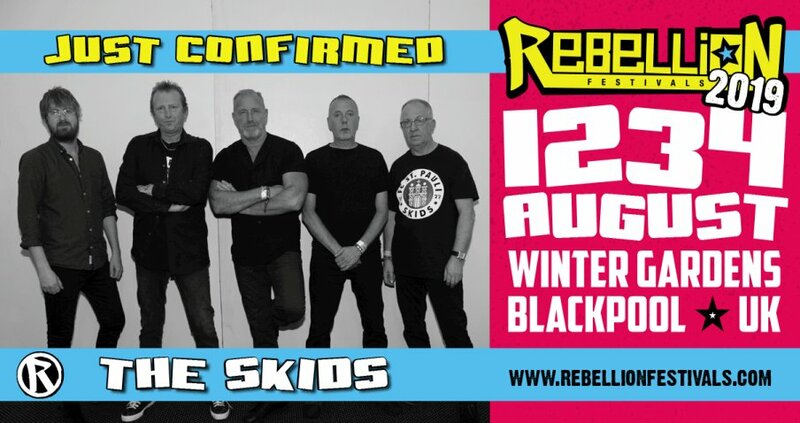 THE SKIDS are confirmed for Sunday 4th August. They absolutely tore the Empress Ballroom up in 2017 and were a lot of peoples highlight of the weekend. We're excited to have them back before they start slowing down and doing fewer full electric sets. We've extended the discounted Early Bird tickets until the end of the weekend. So there's still a chance to get your tickets a tenner cheaper! 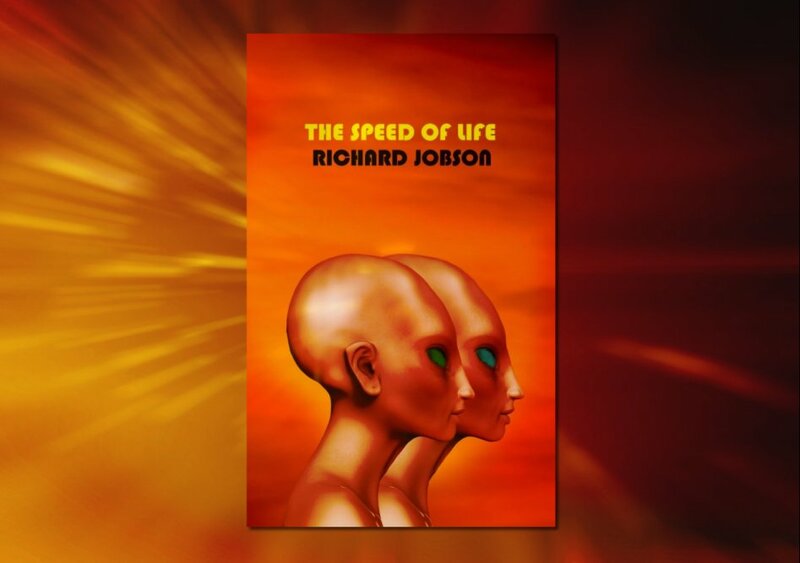 Skids frontman & film director Richard Jobson reads passages from his acclaimed new sci-fi novel 'Speed Of Life' with a musical landscape provided by Filthy Tongues Maestro Martin Metcalfe. Tickets will be distributed by random draw. You can register for tickets at any time until 4pm on Thursday 16 August. You can apply for a maximum of two tickets. Photographic ID is required at all recordings. Scotland is a renowned pop music nation and its artists are loved around the world. But it wasn't always that way. Since the global birth of pop in the 1950s, Scots have overcome obstacles and blazed their own trail to make the music they loved - and bring it to their biggest fans. The first episode of this series sees the biggest names in Scotland's early pop story tell their own unique tales, in their own words, and share how they went from bedroom dreamers to international superstars. 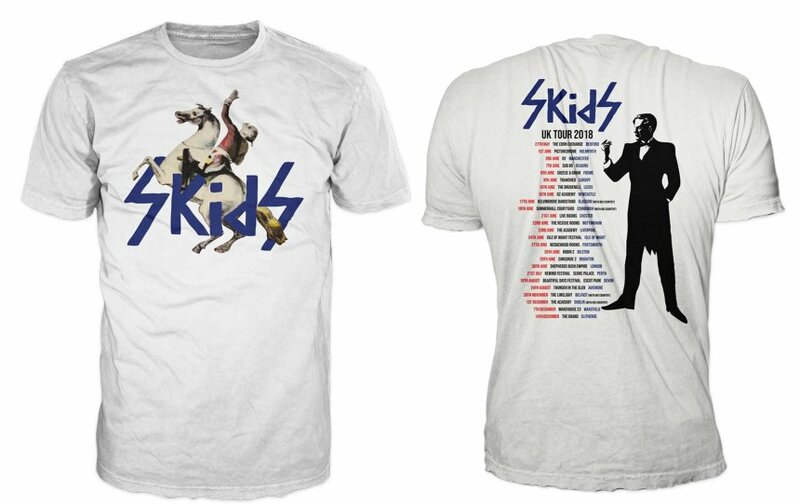 Celebrated solo performers like Lulu and Donovan are joined by members of pioneering groups including The Skids, Nazareth, The Incredible String Band, Josef K, The Average White Band, Middle of the Road, The Rezillos, The Beatstalkers and The Sensational Alex Harvey Band. These musical mavericks had to invent Scottish pop from the ground up - and they did. 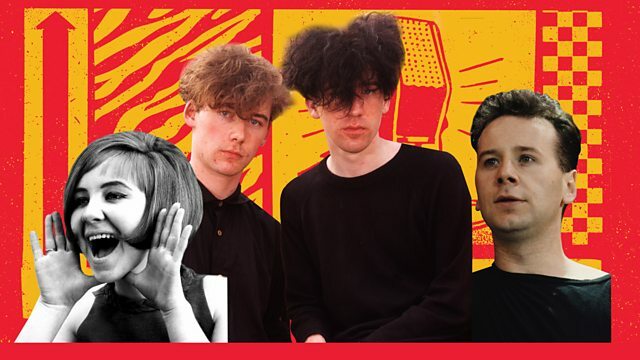 The first act in Scotland's pop story takes in schoolboy skiffle, psychedelic folk revolution, a 'beat riot', gallus rock rebellion and the unique story of Scottish punk. Along the way, Scots have picked up guitars and formed bands, built a loyal following of fans, pioneered a touring circuit all over the country and broken fresh ground in new musical genres. This is the untold story of the first wave of Scotland's pop creativity - and takes in everything from the tale of how an Edinburgh schoolboy of the fifties became Scotland's first pop star to the dodgy early days of real rock legends. 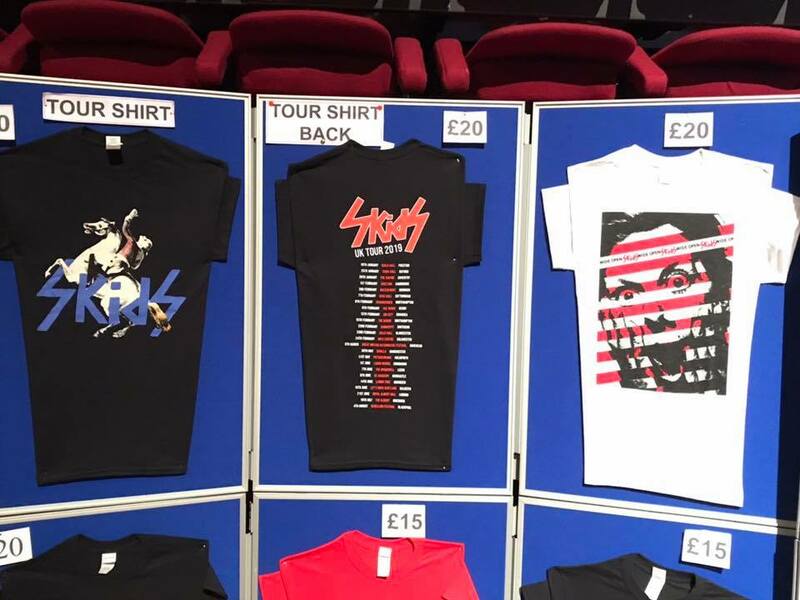 It covers a multitude of our favourite musical genres over three decades of musical invention: punk, 60s beat, hard rock, folk, new wave, funk and R&B, glam and pure, unadulterated pop. Contributors include: Pete Agnew and Dan McCafferty (Nazareth), Richard Jobson (The Skids), Zal Cleminson (Sensational Alex Harvey Band), Malcolm Ross (Josef K), Hamish Stuart (Average White Band), Mike Heron (Incredible String Band), Davy Henderson (Fire Engines), Sally Carr (Middle of the Road), Fay Fife (The Rezillos), Rab Noakes, Billy Bragg, Alex Kapranos, Alan McGee, Lulu, Donovan. These musical mavericks invented Scottish pop. And they did it with a song in their hearts, a microphone in hand and a beat-up Transit van parked round the corner.